I might seem a little bit partial, being a “Minelab Girl” myself, (and I am), but I have to give credit where credit is deserved, and I think the video is pretty awesome. While it doesn’t really describe what the hobby is all about, it will definately peak the interest of the younger generation, and perhaps make them want to learn more…? I’m assuming that’s the audience and message the video is targeting anyway. That, and the fact that metal detecting is just so much darn FUN! I also liked that in the beginning of the video you’ve got the older guy, dressed in stereotypical detecting gear, with folks looking at him like he’s some type of freak (babes on beach amused), and at the end–out pops a true metal detecting hottie (yeah, he’s hot), and those babes take notice. 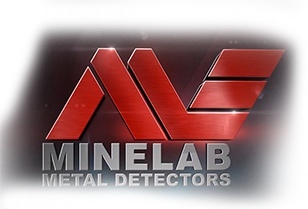 Kudos to Minelab for being so creative in helping to transform the stereotype, and for getting the message out that metal detecting is a cool hobby. I should also add that Minelab invites you to make and share your own video about metal detecting, and they are giving away some cool prizes (i.e. Minelab metal detectors) for the video that gets the most votes click here and scroll down for more info. I find the video less than satisfactory. Sorry. I have to totally disagree with you on this one. IMHO it is horrendous in every possible way. I thought it was very creative and enjoyable. Would rather watch that during the Super Bowl than a Dodge truck driving past Clydesdales, searching for a Coke. I hear ya Joe–some of those commercials are lame, lame & lame. Seems a bit… forced. The first few notes seemed very cool and legit, but the “wave-dancing-makes-dubstep!” portion was too fake. If they had someone actually making music with detectors the whole time it would have been phenomenal. I was more impressed with the scene of a giant gold nugget that one is to assume was found with the product. Yeah, that gold nugget was mighty impressive. I’m not very familiar with Dubstep other than them producing the music on my phones ringtone–does that mean I’m old? Technically, the detectors could produce some type of music, although I don’t think it would sound very Dubsteppy, and definitely would not be anything you would want to wave dance to. Thanks, Allyson! I think I prefer the Theremin. But as an attempt to get away from camo clothing and make detecting look cool I guess it’s worth a try. Is Minelab trying to be like Apple? Well, if they’re trying to be like Apple, at least they’re following a company who’s advertising has been a great success. My blog is controversy free. He sends his love and asks that you write….